After you have selected your gift do not forget the wrapping! We have a great selection of lovely and fun gift bags and wrapping paper! Tie it all up with some of our pretty little ribbon and bows! 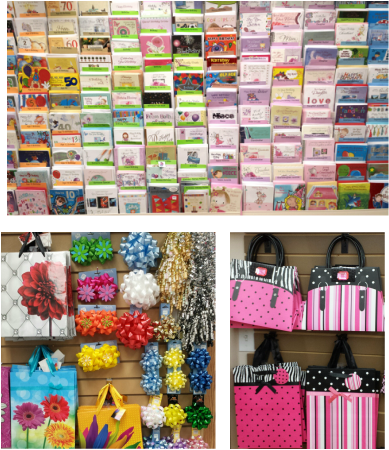 Complete the whole package with any one of our beautiful line of greeting cards for every occasion! Special events and seasonal as well! All at a great value!